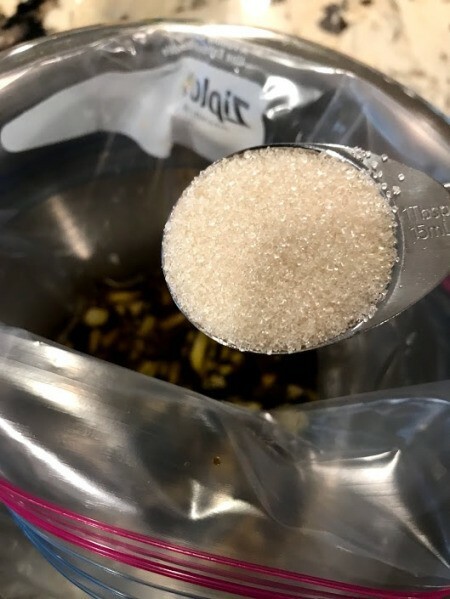 With just a few simple ingredients you will have a quick and easy marinate for your drumsticks. 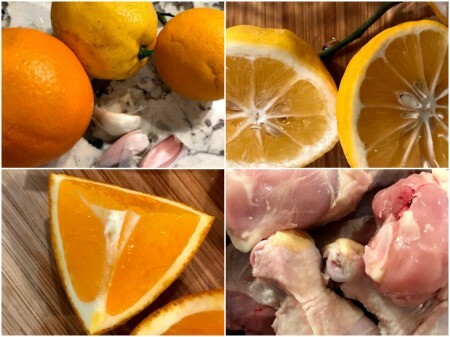 The key ingredients of the marinade are soy sauce, orange and lemons! 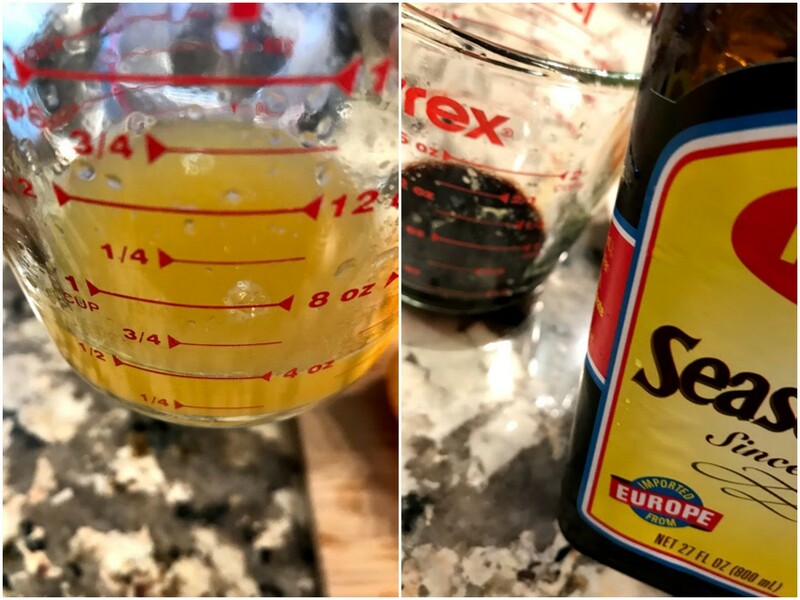 For the citrus, I squeezed 2 lemons and 1 orange, it came out to 1/2 cup and used 1/4 cup soy sauce. Add all ingredients into zip loc bag (citrus, soy sauce, chopped garlic cloves, sugar). 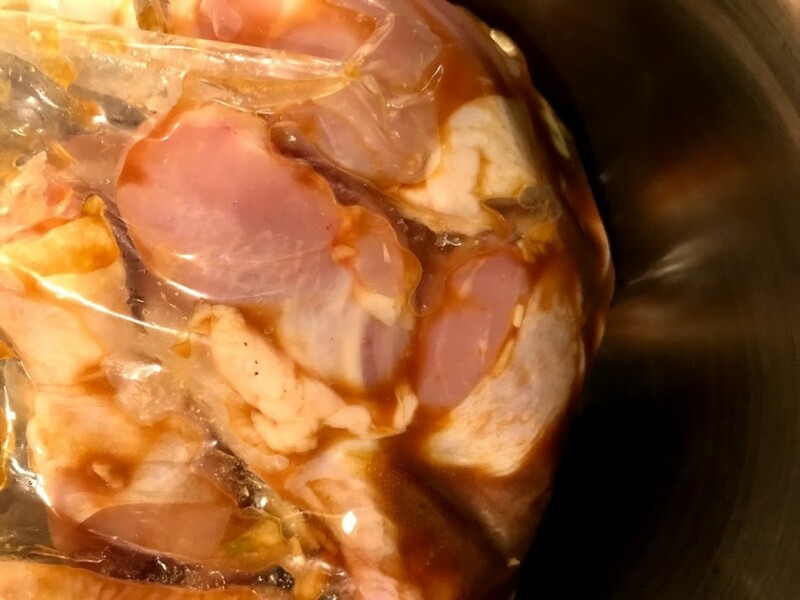 Add drumsticks into bag and marinate overnight. 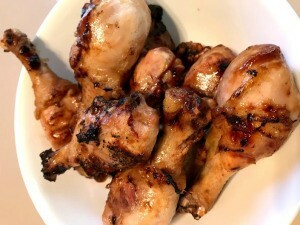 Grill until the internal temperate of chicken is 185 degrees F.